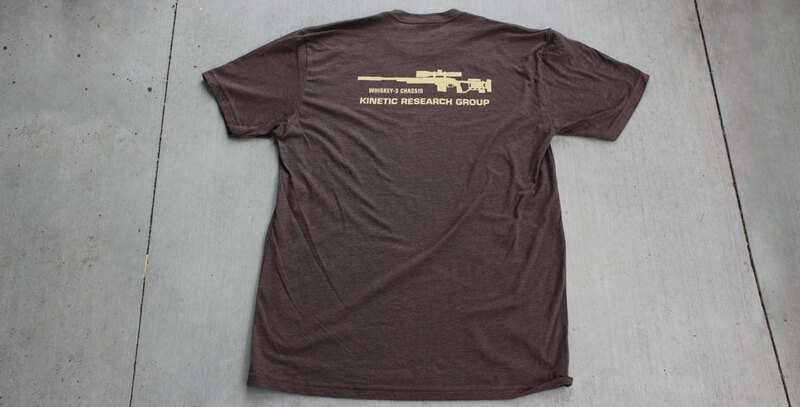 The W-3 shirt is a little unconventional and very sharp. 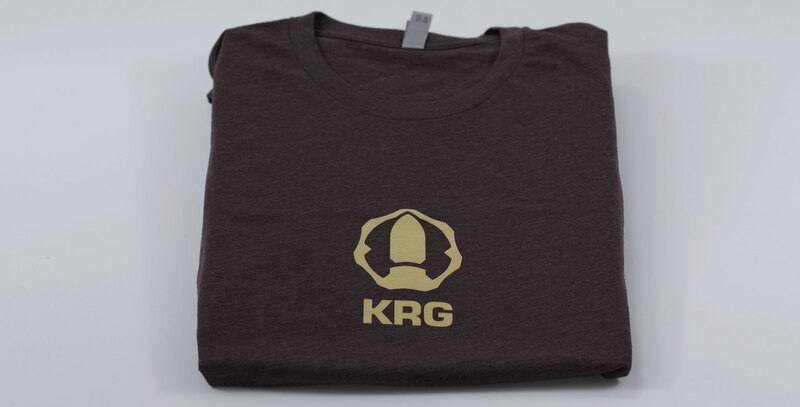 The shirt itself is a top quality, soft Next Level brand shirt in a 60/40 Cotton/Poly blend that's form fitting without being tight like a cyclist's shorts. 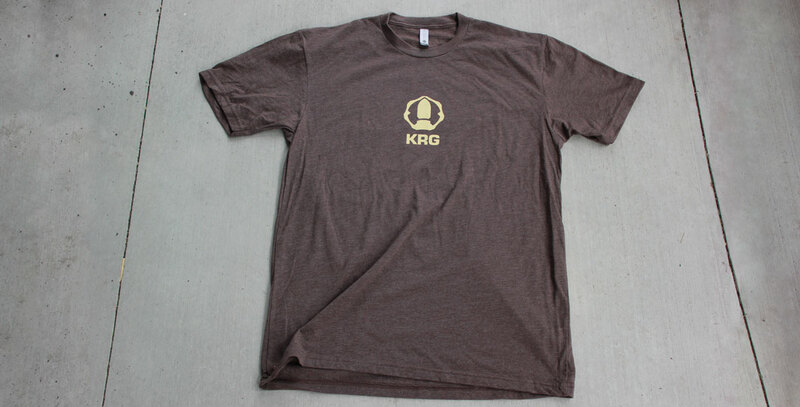 It is a nice brown with the KRG logo on the front in yellow/cream and Whiskey-3 graphic on the back in the same color.